I'd like to integrate Ziggi-HD Plus into my software/system, how do I start? Does Ziggi-HD Plus work on Chromebook? You can use Ziggi-HD Plus on your Chromebook with a couple of software. 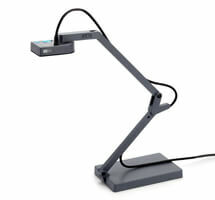 You may also wish to use the Chrome IPEVO Presenter app. The Chrome IPEVO Presenter app is compatible with both Chromebook and the Goggle Chrome browser (PC and Mac). Can I record video using Ziggi-HD Plus? With Presenter for Mac V3.0 or above / Presenter for Windows V4.0.0.8 or above, Ziggi-HD Plus supports image snapshot as well as video recording.